SwimLabs is a highly-successful, fun and innovative way for your child to learn to swim correctly, safely and quickly. We are often the place that “works” when other lessons haven’t. Safer swimmers start in the Lab. Learning to love and respect the water is an important step for your child and your family and we are proud to offer the absolute best way to learn to swim quickly and correctly. 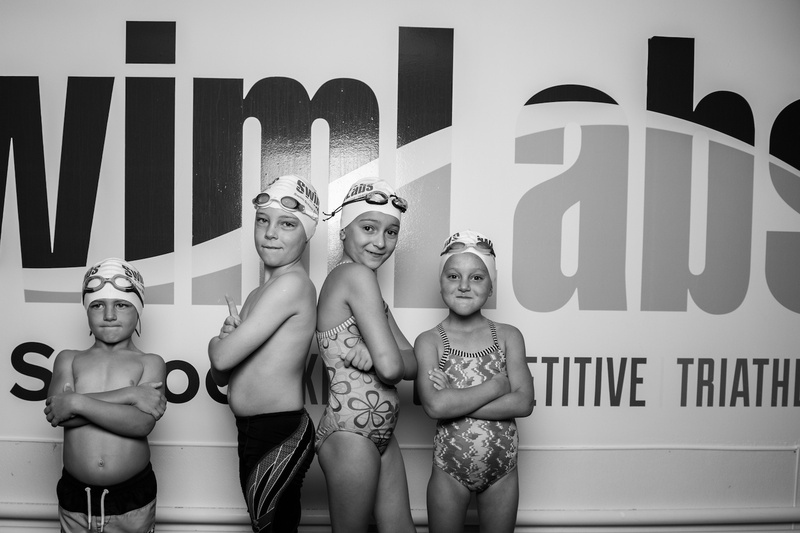 At SwimLabs we offer private, semi-private, three-person private, and four-person private lessons for children. The private and semi-private swimming lessons are structured to advance through the SwimLabs progression at an accelerated rate based on your child’s abilities. We use all the tools, videos, mirrors, and swimming aids to create the perfect one-on-one or two-on-one learning environment. We also offer "Build-Your-Own-Group" which is a three-person or four-person group lesson personal to your group of students. These are ideal for families with multiple children and busy schedules. Our instructors are successfully able to work with different ages and abilities during these lessons. Call your local SwimLabs location for availability. 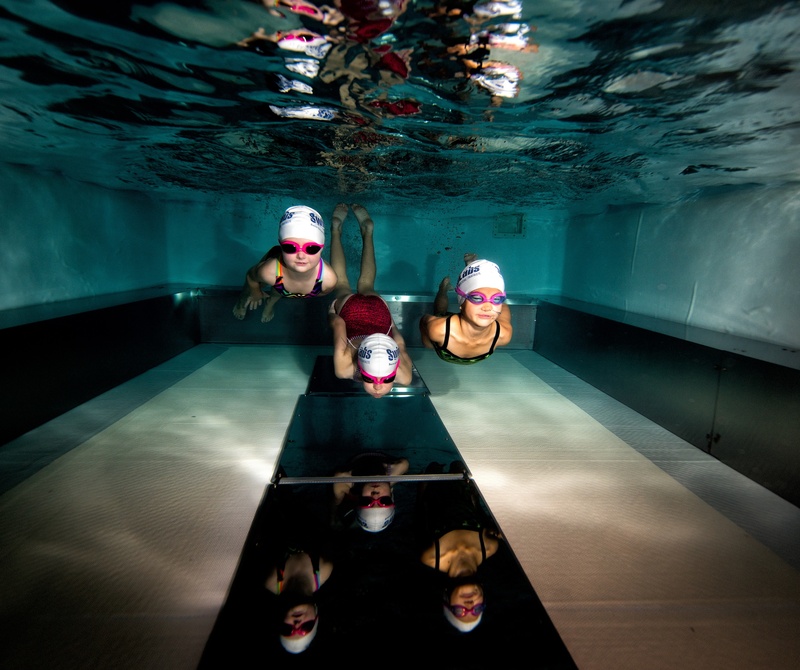 SwimLabs is a competitive swim school. This means that while we focus on ensuring that each and every student is “water safe”, we also ensure that all of our students know how to swim each of the four competitive strokes competently. At SwimLabs we always have a rolling start date, meaning you can start your swimmer at any point. We schedule group lessons in increments of four weeks with a consistent day and time. Because our group lessons are in such high demand, we recommend signing up for AutoPay, which reserves your child’s spot indefinitely until you notify us otherwise. Our curriculum has been developed by a team of world class swimmers with over 30 years of teaching experience. We have the most up-to-date swimming technique to teach students how to swim the correct way right from the beginning! In addition to teaching water safety to every swimmer, our goal is to teach confidence in the water that will translate to all parts of your swimmer's life. Whether the goal is water safety skills or competing at an elite level, our program is designed to teach all ages and abilities. Our curriculum uses a progressive teaching approach that allows for your swimmer to learn to swim comfortably at an individual pace while creating a learning environment that is not only fun, but allows for maximum skill retention. We are fiercely passionate about swimming and we are excited to take your swimmer from bubbles to butterfly! Ratio determined by pool size | Parent and child work together to develop the foundational skills crucial for learning to swim and promote safety in the water. Ratio determined by pool size | Parent and child work together to develop the beginning swimming skills crucial for learning strokes and promote safety in the water. 3:1 Ratio | Class focuses on fundamental swimming and safety skills while learning how to safely be a part of a group class. Parents may stay poolside for safety purposes to ensure the child is following class rules. 3:1 Ratio | Class focuses on fundamental swimming and safety skills while learning how to safely be a part of a group class. In this class, swimmers must be completely independent of the parent. 4:1 Ratio | Swimmers learn the basic safety skills, breath control, independent floating, as well as the beginning movements for freestyle and backstroke. 4:1 Ratio | Swimmers develop basic freestyle and independent backstroke skills, and build water safety. 4:1 Ratio | Swimmers begin to learn freestyle side breathing with assistance, develop backstroke technique, and build on water safety skills. 4:1 Ratio | Swimmers learn independent freestyle side breathing, develop backstroke technique and endurance, and are introduced to the breaststroke kick. 4:1 Ratio | Swimmers continue developing freestyle and backstroke technique and endurance, learn the complete breaststroke, and are introduced to the butterfly kick. 4:1 Ratio | Swimmers will learn the full butterfly stroke and continue to refine technique and build endurance for all four strokes. 3:1 Ratio | Swimmers focus on refining advanced techniques using video analysis and gaining endurance. This class is designed for adults with little or no prior swim lesson experience. The primary goals of this class are learning breath control, balance, and the fundamentals of freestyle, backstroke, and breaststroke. Learn More Here! *Check with your local SwimLabs for additional class levels based on demand. *Visit your local SwimLabs location's registration page to sign up for SwimJams. *Visit your local SwimLabs location's registration page to sign up for TeamPrep. SwimLabs has developed two unique programs specifically tailored to teaching clients with special needs. All of our instructors go through specific SwimLabs training for teaching clients with special needs how to swim or to aid them in their therapy. Please contact your local SwimLabs for any inquiries about the program. The Learn-to-Swim program is for individuals with the goal of pool safety and learning the strokes. The Therapy program is for individuals with the goal of loosening muscles, building muscle tone, neurological stimulation, relaxation, etc. As a test of water safety, endurance, and proper stroke technique, SwimLabs introduces the 100 Stroke Club. At SwimLabs, we strive to get every swimmer to swim 100 consecutive strokes for at least one of the four competitive strokes. For many young swimmers, 100 strokes will allow them to swim several laps in a standard pool. Can’t swim 100 strokes? Don’t worry, swimmers progress as they learn and practice; 25 strokes today, 50 next month, and then 100! Welcome to our class level finder. We have classes for swimmers of all levels from learning to blow bubbles to perfecting your butterfly. We also offer adult classes and classes for special needs students. Find a Location near you for more info! Can swimmer perform 25 yards of freestyle and backstroke and knowledge of breaststroke?